In addition to announcing an upcoming Buy One, Get One deal, T-Mobile today shared some news on its #GetOutoftheRed promotion. T-Mobile says that the Galaxy S8, Galaxy S8+, Pixel 2, Pixel 2 XL, and iPhone X are now eligible for its #GetOutoftheRed offer. This brings the number of phones that are eligible for this promo up to 13. #GetOutoftheRed launched in mid-2017 as a way to attract Verizon customers to join T-Mobile. With this deal, Verizon customers can switch to T-Mobile and not only get their remaining device payments covered, but they also get to keep their phone and use it on T-Mo. 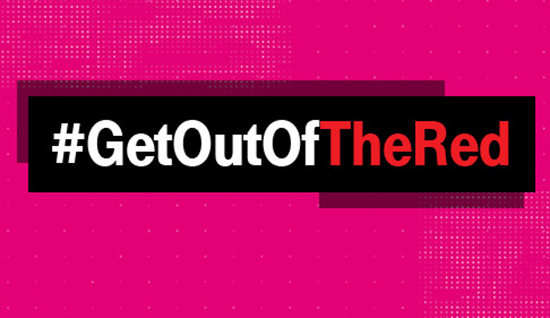 With the #GetOutoftheRed offer, T-Mobile will give you up to $650 on a virtual prepaid card. You’ll need to switch from Verizon to a T-Mobile One Plus or T-Mobile One Plus International plan to qualify. can you combine this with the BOGO deal? With the previous BOGOs you couldn’t so I assume it to be the same here. Why are they only doing this for verizon customers? At least add Att too. Heck, why not just do it for only Sprint? Those would be the easiest customers to convince to make the switch. What if I just purchased a new phone on Verizon last week, will they still pay $650 towards it? I can’t find any information in the terms on how long ago you must have purchased the phone. Thank you, I found that information that after I posted this comment. I purchased two Pixel 2 XL’s in November, guess I’ll wait a few weeks until 60 days and make the switch. Will the Verizon S8 get VoLTE and WiFi calling with a T-Mobile sim?? I did this with my Google Pixel. Fantastic program, and I’ve been very happy with T-Mobile.